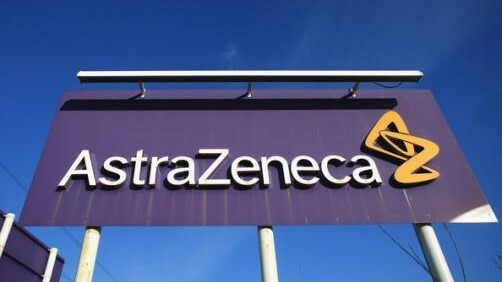 AstraZeneca and Merck & Co/MSD’s selumetinib has been given a breakthrough designation from the US FDA for a rare paediatric disease, after failing to make the grade in other cancers. The MEK 1/2 inhibitor has picked up the breakthrough status for neurofibromatosis type 1 (NF1), an incurable genetic condition that affects one in 3,000-4,000 newborns worldwide and for which it also received an orphan drug designation from the EMA last year. NF1 can cause lumps under the skin, pigmentation and in around 25% of cases benign tumours on nerve sheaths called plexiform neurofibromas that can cause pain, motor dysfunction and disfigurement. Some patients also experience other complications such as learning difficulties, visual impairment, twisting and curvature of the spine, high blood pressure, and epilepsy. There are no approved therapies for the disease. The new status marks something of a renaissance for selumetinib, which has previously failed as a monotherapy in various solid tumours including thyroid cancer, lung cancer, and uveal melanoma. Since then, it has mainly become a constituent of various combination therapies including with immuno-oncology drug Imfinzi (durvalumab) in solid tumours and targeted lung cancer therapy Tagrisso (osimertinib) in EGFR-mutated non-small cell lung cancer (NSCLC). NF1 is one indication where selumetinib is still being tested on its own, and the breakthrough designation comes on the back of data from the phase 2 SPRINT trial in paediatric patients with inoperable NF1-related plexiform neurofibromas. The results – which were presented at last year’s ASCO meeting – revealed a 72% response rate with selumetinib in 50 patients. All the responses were partial responses, which were defined as a 20% or greater reduction in the volume of plexiform neurofibromas as measured by magnetic resonance imaging (MRI). The MEK pathway is improperly activated in patients with NF1 as well as in patients with certain types of cancer, leading to the growth of tumours. Most responses lasted for at least six months, and the results were hailed as a big advance for patients by former US National Cancer Institute (NC) director Dr Ned Sharpless – who will soon be acting Commissioner of the FDA following the surprise departure of Scott Gottlieb. NCI researchers led the SPRINT study. AZ and MSD formed a global strategic oncology collaboration to co-develop and co-commercialise PARP inhibitor Lynparza (olaparib) and selumetinib for multiple cancer types in 2017.